Sweat Lodge, the award winning piece and a creation of artist Aylan Couchie. 86” diameter X 4’ height. acrylic, plaster, nylon taffeta, light/mirrors, speaker/iPod. Submitted photo. A big achievement to report in the local arts scene. Sweat Lodge, the award winning piece and a creation of artist Aylan Couchie. 86” diameter X 4’ height. acrylic, plaster, nylon taffeta, light/mirrors, speaker/iPod. Submitted photo. A big achievement to report in the local arts scene. Aylan Couchie, a 40 year old single mother, has won the International Sculpture Center’s 2015 Outstanding Achievement in Contemporary Sculpture Award. Couchie lives on the Nipissing Reserve and was nominated during her fourth and final year at Georgian College in Barrie where she completed a Fine Arts Advanced Degree. 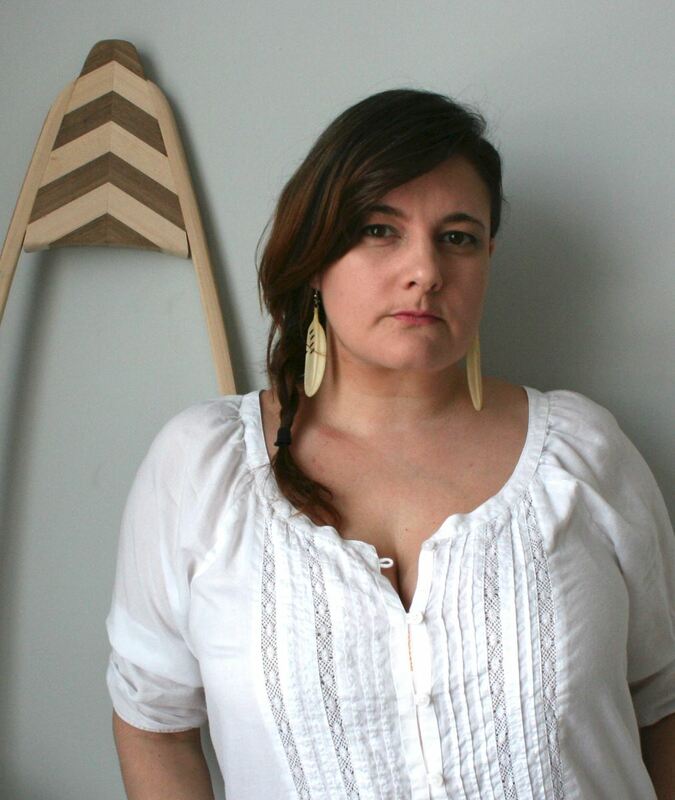 "Most of my works revolve around my relationship with my Grandfather, a First Nations elder who passed away a few years ago. This work is an interactive installation that was created using acrylic rods, plaster and taffeta. There is a speaker inside the fire pit with mirrors attached to it and a high powered light shining into the mirrors. An iPod plays drumming through the speakers and the vibration creates a pattern that reflects back onto the inside (and outside) of the shell. So in effect, the viewer is hearing the drumming but also visually seeing the sound" said Couchie. Her sculpture was one of 18 selected out of 423 student nominees and over 952 works submitted worldwide. This award grants Couchie a six month exhibition in New Jersey with option to be included in a travelling exhibition, a feature article in the October 2015 issue of Sculpture magazine, and an opportunity to apply for a residency in Switzerland – fully sponsored. "Career-wise, the possibilities are sky high. I’m still coming to terms with what this will mean. The opportunity for the Switzerland residency could open new doors for me in the European market. The six month exhibition in New Jersey and the feature in Sculpture magazine (the go-to publication for sculpture in the art world) is also huge, I’d imagine this will be a game changer as far as who will see my work and future opportunities," she explained. In the Fall she'll be heading to Halifax to finish her undergraduate degree at NSCAD University. She explains her piece this way. "This work considers customary approaches to healing in contrast to Western based clinical medicine. Traditionally, sweat lodges were and still are used by First Nations people as a form of healing, but, in contrast, the majority now visit hospitals and clinics for our healing. These medical facilities are typically cold concrete buildings, sterile, clean and monotone. A sweat lodge ceremony is customarily performed in a wooded area, a fire pit is dug into the ground, tree branches are used as framework and a mixture of blankets; fur and bark cover the structure. This work represents the decline of one form of tradition that has occurred within Aboriginal culture. 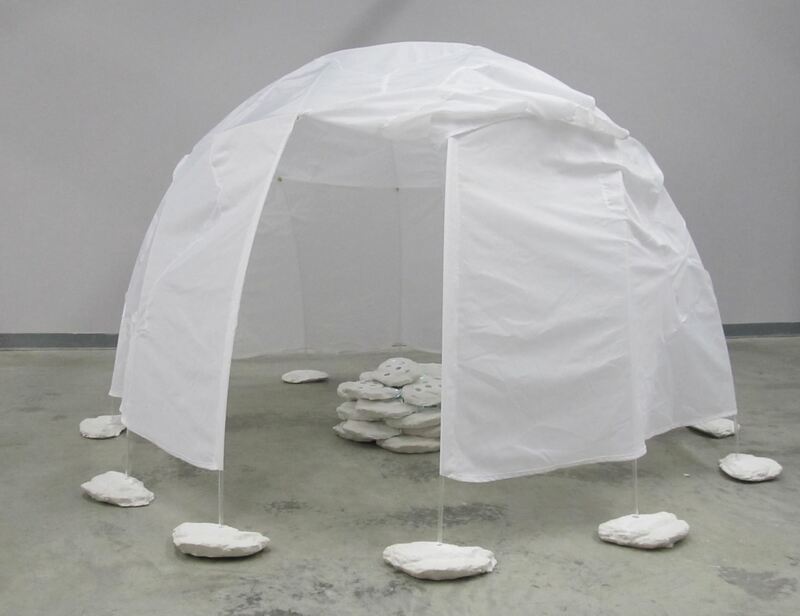 "I wanted to unite traditional and present-day by building a sweat lodge using artificial materials not found in nature. The white starkness of the lodge and the artificial light from the 'fire' serve to bridge the gap between clinical and traditional healing." The International Sculpture Center (ISC) established the annual "Outstanding Student Achievement in Contemporary Sculpture Award" program in 1994 to recognize young sculptors and to encourage their continued commitment to the field. The award program's growing publicity resulted in a large number of participating institutions; including over 158 universities, colleges and art school sculpture programs from six countries for a nominated total of 423 students. The 18 award recipients will participate in the Grounds For Sculpture's Fall/Winter Exhibition, which will be on view from October 2015 – March 2016 in Hamilton, New Jersey. The artist's work will be featured in the October 2015 issue of the International Sculpture Center's award winning publication, Sculpture magazine as well as on the ISC’s award-winning website at www.sculpture.org.